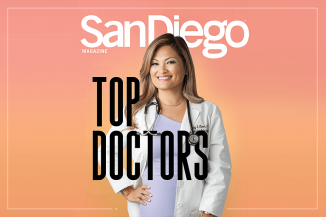 San Diego, CA (PRWEB) – San Diego Fertility Center specialists, Dr. William Hummel and Dr. Michael Kettel are honored on the prestigious U.S. News & World Report list of ‘Top Doctors’ for 2011. Physicians are chosen from a wide range of specialties and locations. Out of the thousands of physicians nominated for this award, less than 300 reproductive endocrinologists were recently selected. Considered to be one of the most competitive ‘Top Doctors’ publications in the nation, the U.S. News & World Report created its list in collaboration with Castle Connolly Medical Ltd., a renowned publisher of consumer health guides and top doctor lists. To receive this highly acclaimed award, physicians are nominated by their peers and then reviewed by Castle Connolly’s physician-led research team. The extensive review process takes into consideration medical education, training, administrative experience, achievements and additional credentials. Dr. William Hummel has received numerous ‘Top Doctor’ awards, being recognized as one of the ‘Best Doctors in America’. Board certified since 1990, Dr. Hummel is a pioneer of the blastocyst embryo transfer and egg donation IVF in San Diego. He is an active contributor to various national and international IVF publications as well as a member of the Society of Reproductive Surgeons and the American Society of Reproductive Medicine. Dr. Hummel dedicates his life to helping those struggling with infertility, contributing to thousands of births over his career. Dr. Michael Kettel is a highly accomplished reproductive endocrinologist who has received over $1,000,000 in research grants to explore new procedures that enhance success rates for IVF. He is triple board certified by the American Board of Obstetrics & Gynecology, the American Board of Reproductive Endocrinology & Infertility and the American Board of Bioanalysis. 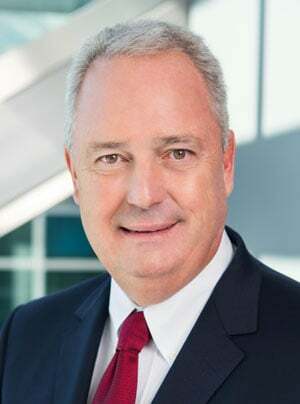 The recipient of numerous accolades such as ‘Top Doctor’ and academic/teaching awards, Dr. Kettel has contributed to over 100 scientific publications on various topics such as endometriosis, uterine fibroids and ovulatory disorders. Dr. Kettel is also an active member of several medical societies including the Society of Reproductive Surgeons and the American Society of Reproductive Medicine. Located in Southern California, San Diego Fertility Center (SDFC) is an internationally recognized fertility treatment center. Named among the top fertility doctors by a variety of publications, SDFC's infertility specialists are leaders in IVF (In-Vitro Fertilization), egg donation, egg freezing, ICSI, male infertility & PGD (preimplantation genetic diagnosis). San Diego Fertility Center is easily accessible from local communities like La Jolla and Encinitas or points further like Murrieta and Temecula. SDFC also welcomes out-of-state patients and provides fertility tourism and fertility travel accommodations for patients all over the world.